You've never had it all on your phone until you have a test of Android P operating system as they revealed more feature that will be coming along with it. One of the feature added recently is "Digital Wellbeing" that help you to track every activities on your phone, it gives you breakdown of time spent on each apps. Currently many apps are diving into style keeping the record of everything you do and to manage your data consumption. For instance YouTube now included something similar feature that help you to spend less time watching video. If you are still using old version of YouTube don't expect this feature, however, it works on all operating system irrespective of version. 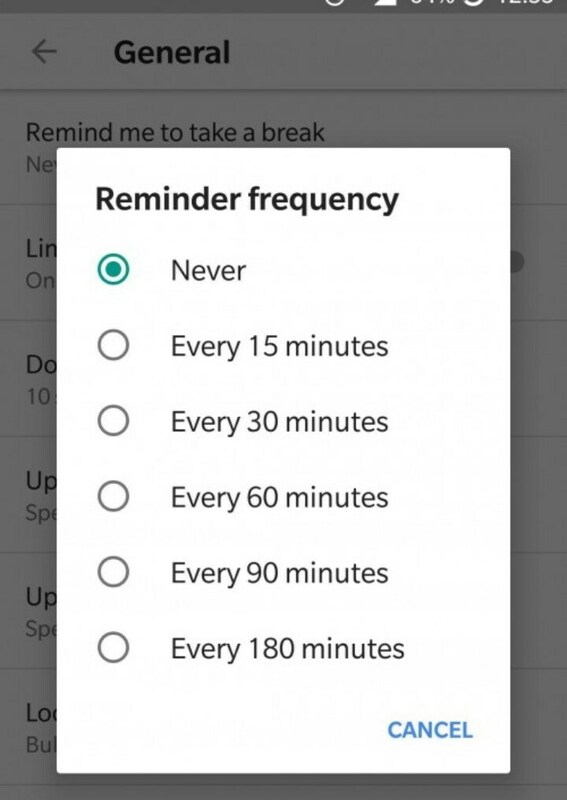 How to enable it on "YouTube App"
>> Launch your YouTube app >> tap on “Settings“, select ” General” and go to “Remind me to take a break” option.